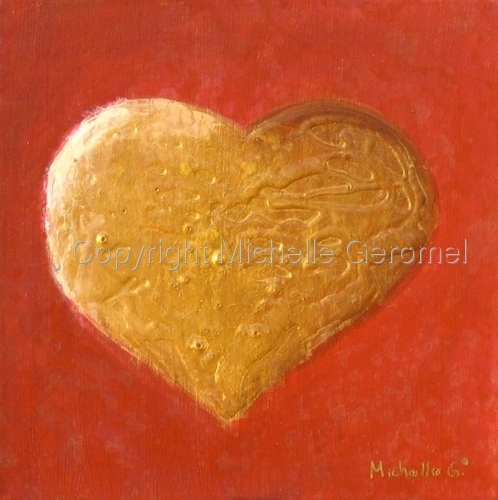 In the painting above, I used layer after layer of a gel like medium to create a glossy, 3-dimensional heart on canvas. (And yes, getting it to stay in that shape until it dried was a bit tricky!) The medium was at times mixed with paint, and other times not, until I got the effect I wanted. The result is a raised glassy heart on the canvas with gold color trapped inside.